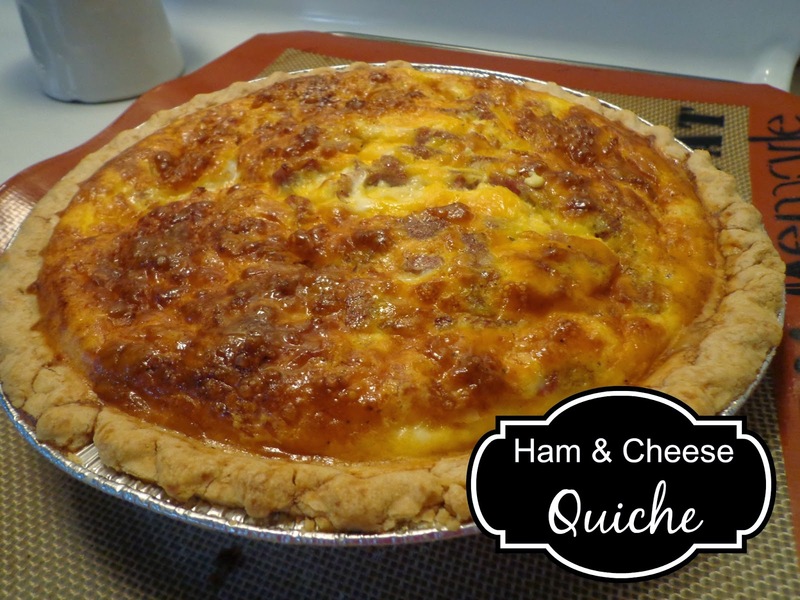 Ham and Cheese Quiche couldn’t be an easier meal to make and it tastes so good. I remember when I was a kid and my mom would make one and there was no way I was going to touch it! 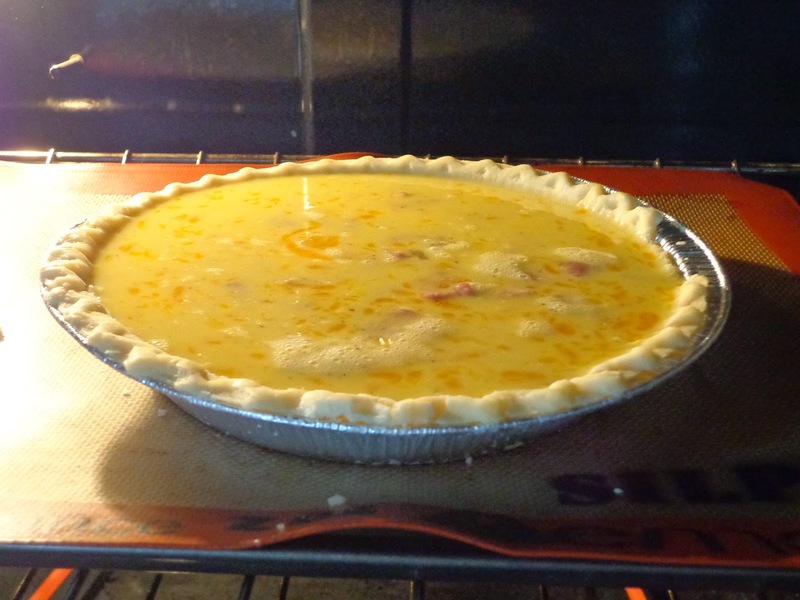 But now I love quiche and this one is as simple as it gets. Beat Eggs then add milk, salt and pepper. 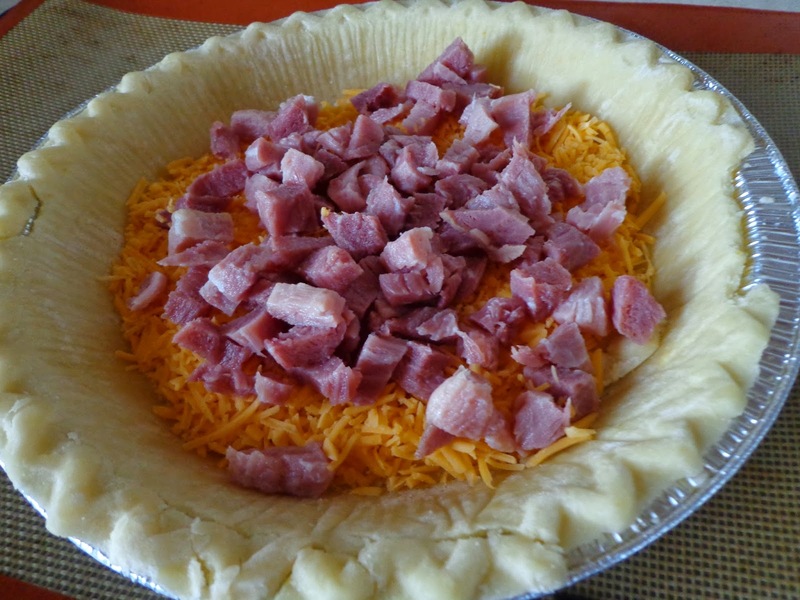 Put cheese into pie crust, dump in milk and egg mixture. Cover pie edges with foil. Bake for about 40 minutes on 400° or until a knife inserted in the center comes out clean. You can see this one got a little dark because I always worry about not cooking them long enough! But let it sit for 5-10 minutes and it will be perfect! It’s time to eat up! YUM! I love quiche! Sometimes in the summer, I’ll make it and pair it with a green salad. Thanks for sharing this yummy recipe with us at Foodie Fridays!